The roof panel with DRIP STOP anti-condensation felt provides a medium for trapping this moisture in the specially designed pockets formed in the membrane. DRIPSTOP holds that moisture until conditions go back below the dew point and it is released back into the air in the form of normal humidity. 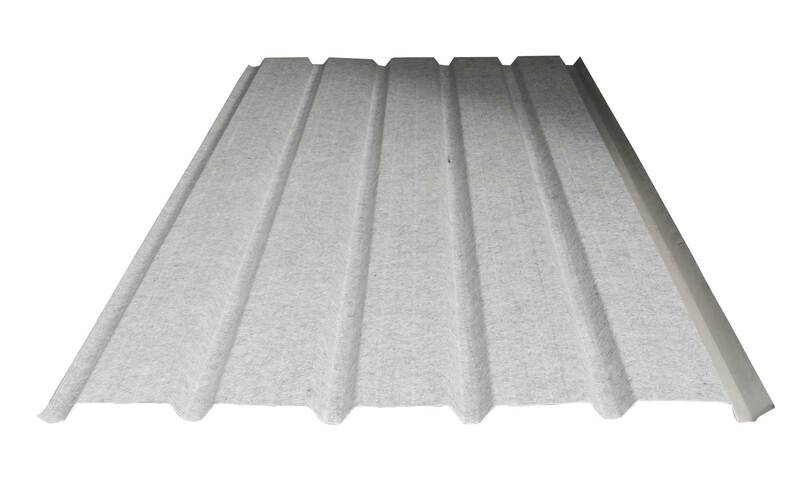 DRIPSTOP anti condensation felt is self adhesive, and is applied to the metal panel in the roll forming process. As a result, DRIP STOP arrives at the building site already in place and set to be installed with the roofing panels immediately. The membrane is resistant to aging, and also provides an additional layer of protection for your metal roof. DRIPSTOP is a name that you can trust. Years of experiences have helped us to develop an excellent product. DRIP STOP can be used in virtually any environment (structure) where condensation is a problem.